The redesigned phone gimbal, announced here at CES 2018, has simplified controls, all-day battery life and a rock-bottom price. 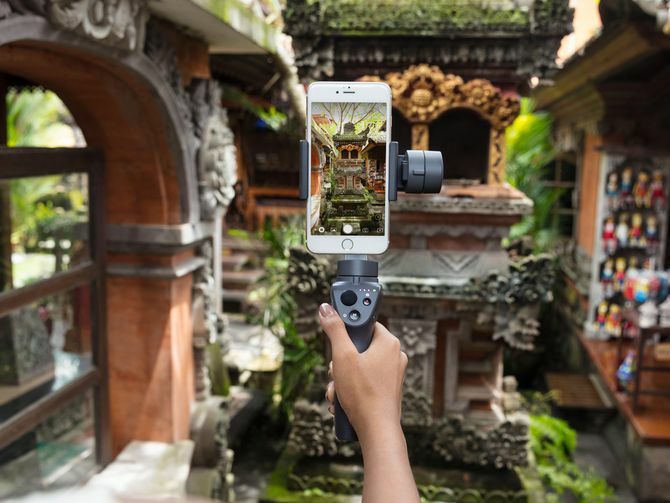 The Osmo Mobile 2 can stabilize vertical and horizontal video. DJI already owns the camera drone market by offering better tech than its competitors at aggressive prices. It's now taking the same path with its camera stabilizers. Much of the heavy lifting for its shooting features is done with DJI's Go app for iOS and Android. 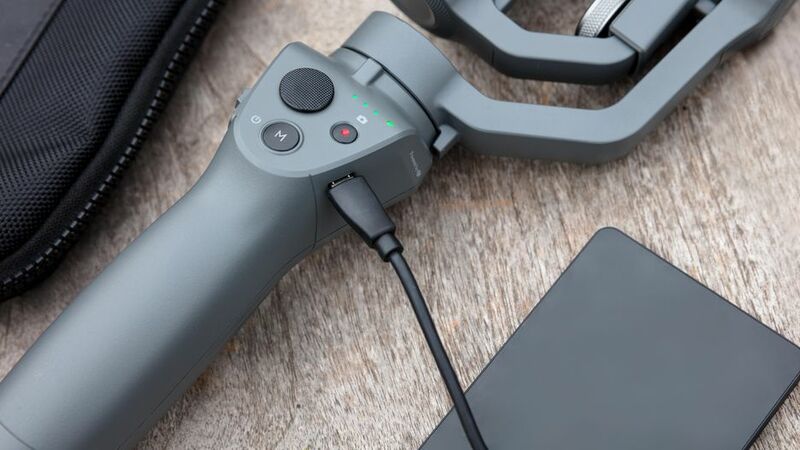 That (and a Bluetooth connection) are what allow the Osmo to talk to your phone's camera and do things like control your digital zoom with a slider on the handle and change settings for ISO and shutter speed. You can have it automatically track moving subjects, create panoramas and shoot motion time-lapse and hyper-lapse videos, too. The new nylon body keeps it lightweight while making room for a battery that lasts up to 15 hours. It's not removable like the original's, but that tapped out at about 4 hours. This way you can stay running all day and there's even a USB port so you can charge your phone off the Osmo's battery while you shoot. The Osmo Mobile's controls have been cleaned up and simplified, too, and the phone clamp can be positioned horizontally or vertically. There's even a tripod mount on the bottom now. You'll be able to preorder the Osmo Mobile 2 on Jan. 23 exclusively from Apple.com. In early February, it will also be available at DJI.com. DJI Ronin-S for DSLR and mirrorless cameras. If shooting with a "real" camera is more your thing, DJI also announced the Ronin-S, the company's first single-handed stabilizer that will be available in two frame sizes for DSLR and mirrorless camera systems. DJI says the motor system can handle zoom lenses and works with in-body and in-lens stabilization systems. Like Osmo, the Ronin-S has a mobile app that will allow for automatic camera moves. There are also dedicated control buttons for the camera, joystick for precise positioning and a Sport mode that allows the motors to keep pace with fast-moving subjects. Hot-swappable batteries let you keep shooting without having to stop. Unlike the Osmo Mobile 2, however, the Ronin-S isn't expected until the second quarter of 2018 and no pricing is available. According to the DJI representative I spoke with, though, you can expect it to be competitive.